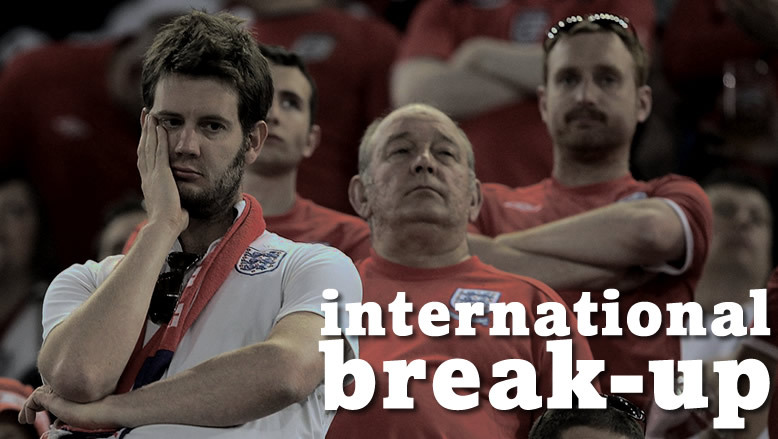 Over the past few weeks we have had an international break from domestic leagues and the focus was on the Nations League and a few friendly internationals. Going into these games the Republic of Ireland manager Martin O’ Neill was surely hoping to get his side back on track after the five one hiding his side got in their last competitive game which was against Denmark in that second leg play off for the World Cup, a result that left so many people disappointed. You can only imagine that Martin would have been delighted to have a chance once again to work with his players and try to plot the downfall of Wales and Poland who were their upcoming opponents. When the manager announced his squad there was a shock when West Ham,s Declan Rice was left out, was he injured everyone wondered, in fact Declan had requested not to be included in the squad as he wanted time to decide his international future. The one shining light for the future of Irish football had taken time out to decide whether he would continue playing for the Republic of Ireland, or if asked the country were he was born, England. This news came out of the blue and as much as Martin tried to play down the situation it really was a blow. Declan has been part of the Irish set up for a few years now, right through from under age sides to senior level. Unfortunately Declan has not been capped in a competitive game for Ireland and this has left the door open for an approach from Gareth Southgate and England. A lot of people here have been very annoyed about the players decision to take time out and quite a few have commented that if he needs time to decide his future then he should just jog on and never bother coming back. Having listened to Martin O’ Neill discuss the subject I feel he will give the lad all the time in the World, as young Rice could still be a huge asset for the Republic. In today’s modern game the money that is involved can turn many a young players head. Let us be totally honest if Declan was to get a call up and make regular appearances for England his stock value would sore, in fairness being in the England squad would possibly get him more appearances at World Cup and European Championship level as well. So the lad has a decision to make and it really is a case of head over heart as when I have seen him play in a green shirt he has always put in a great shift and if anybody has witnessed him singing the Irish national anthem you can clearly see his passion. The handling of the whole affair by Martin O’ Neill has been first class in my opinion as he could have just pulled the plug and set Rice adrift, but he seems to be playing the long game and is prepared to wait. The question on most people’s lips will now be how long will he wait, in my opinion if Rice is not in the next squad then his Irish career is over, so we still have a few weeks to worry ahead. So with the Declan Rice problem put to bed it was time to focus on Wales and Poland games for the manager. This would have been easy if a story about assistant manager Roy Keane had not broken in the media over the former Manchester United,s fall out with a few Irish players. Apparently Roy had a huge row with John Walters and Harry Arter back in May, the last time the Irish got together and he was heard calling Arter a p…k and a w…..r who did not care about the team. The fall out from this was that Arter did not join up with the squad for both games as he was also going to ponder his future. The whole row developed when Roy was unhappy with the two players sitting out training with slight knocks, mind you they were under doctors instructions to sit it out. Everybody knows Roy has a temper on him but himself and John Walters had to be pulled apart as it really threatened to get out of hand. To make matters worse for O’Neill a player who was not even in the squad in May leaked what had happened on WhatsApp to his so called friends and of course one of them let it out to everyone else. I feel sorry for the lad who leaked the information as Stephen Ward comes across as a top class guy and an ultimate professional. A lot of the media over here have been calling for Keane,s head as they feel he has been out of order over the whole issue, even former Irish internationals John Giles and Liam Brady feel Roy had crossed a line. For his part Martin O’ Neill is backing his assistant but you would have to believe words have been said behind closed doors. As I put this piece together it is been widely reported that Keane will offer Arter an apology, but we will have to wait to and see how that develops. Stephen Ward has already been on the phone and offered the management an apology and fair play to him. There is no doubt that there are always training ground bust ups in football but isn’t it amazing that this sort of news always seems to break when things on the field are not going well. On the field of play it turned out to be a very interesting week for the boys in green. The first game was a Nations League clash with Wales and it was their manager Ryan Giggs first competeive game. It was a night were nothing went right for O ‘Neill and with players missing his side were thrashed four one. It was not the fact that it was a serious beating but more so the manner of the defeat, the Irish team looked all at sea and it was quite alarming how they crumbled. The Irish were three nil down at half time and the goals that came from Lawrence, Bale and Ramsey were a result of awful defending. Ward and Clark will have had a hard think on how they performed on the night because they were not up to the job on those first half goals, caught sleeping in my opinion. The second half was a damage limitation excercise for the boys in green as they could have gone under to a huge score line. The Irish goal came from Shaun Williams who caught Ramsey in pocession and finished with a beautiful dink over the Welsh keeper. If the Wales game was poor, the organisation for the Polish game was superb, the Irish had got a plan and Aidan O’Brien and Callum O’Dowda were the men who stood out on the night. In fact in this game the Irish led one nil right up to the last few minutes from an O’Brien header after a superb cross in by Callum. That result has given the Irish a huge lift in confidence and with Denmark and Wales coming to the Aviva next month you just never know what might happen, one thing that is for certain though is we could do with Declan Rice and Harry Arter back in a green shirt.